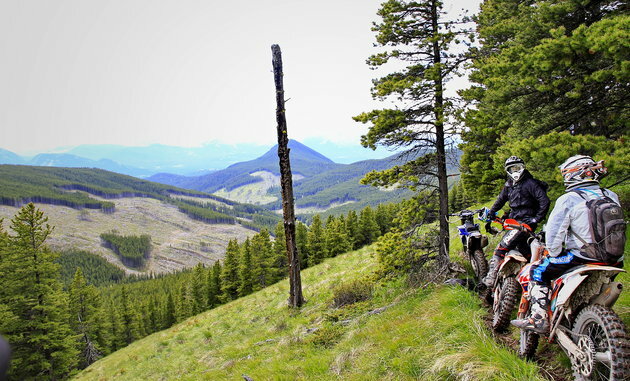 A trail-side rest with Danny Clarke and Connor Cripps. 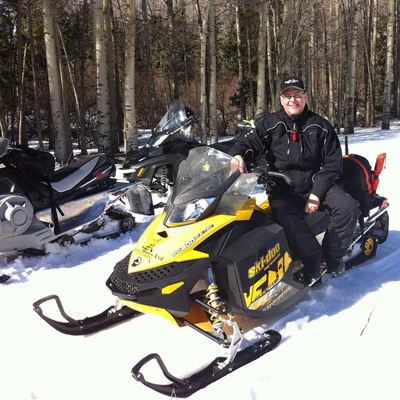 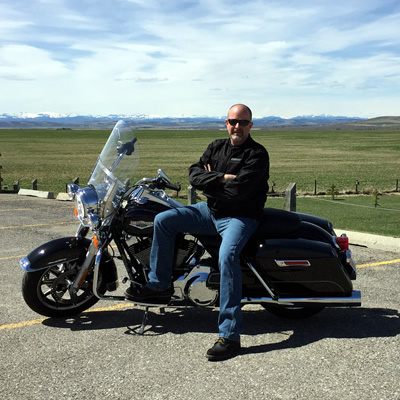 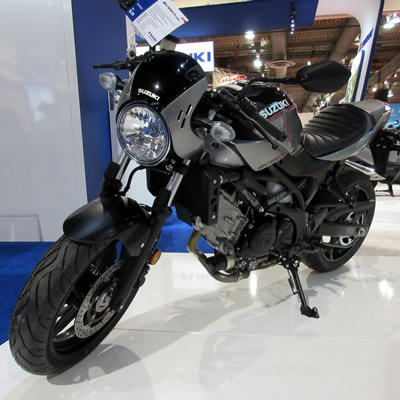 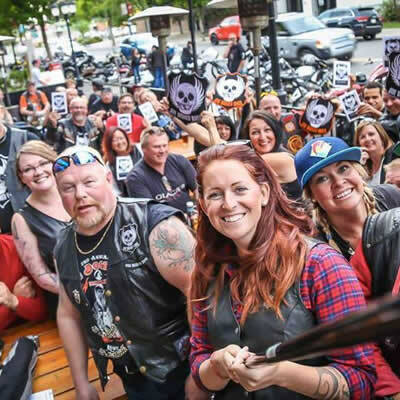 Glenn Lyth, a motorcyclist from Calgary, Alberta, was the inspiration behind One Broken Biker, a charitable organization that helps riders like him triumph over tragedy. 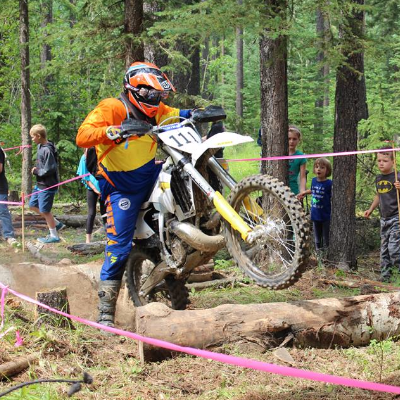 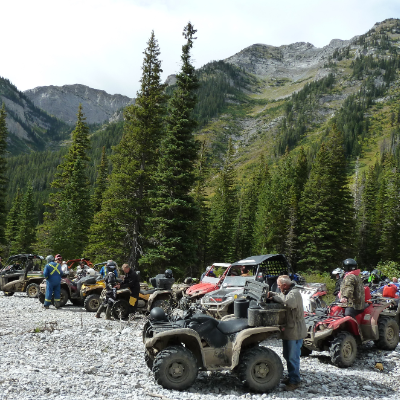 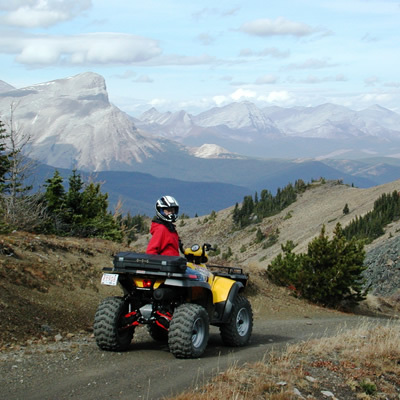 In August of 2016, the Crowsnest Pass Quad Squad, the local ATV club in the area, hosted several members of the Queen City Quadders (Regina, Saskatchewan area ATV club) for a week of riding in the Castle area. 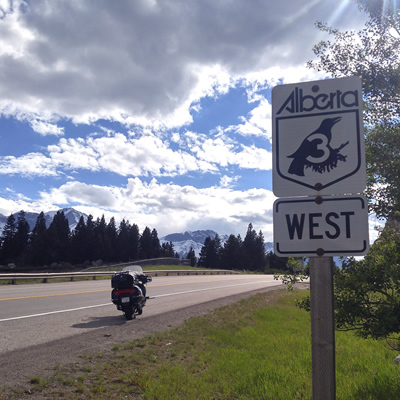 Here are five things motorcyclists travelling along Crowsnest Highway 3 can see and do. 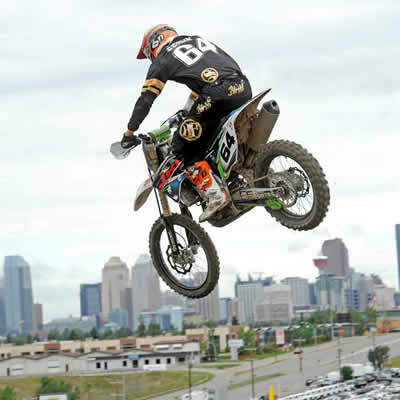 Calgary, a skyscraping city of 1.2 million people, seems an unlikely destination for dirt bike riders. 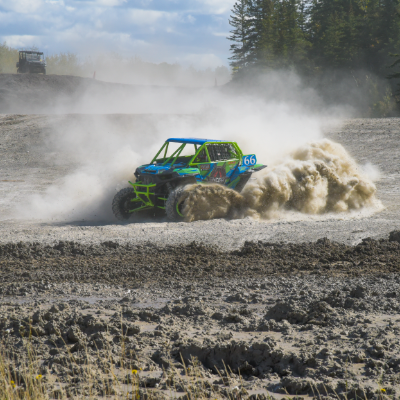 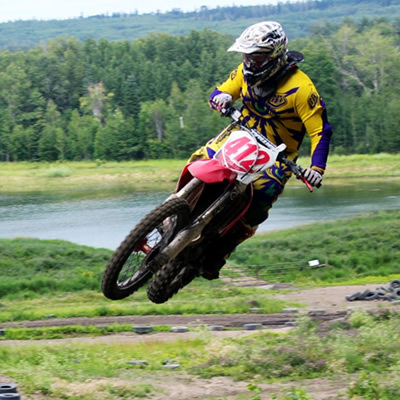 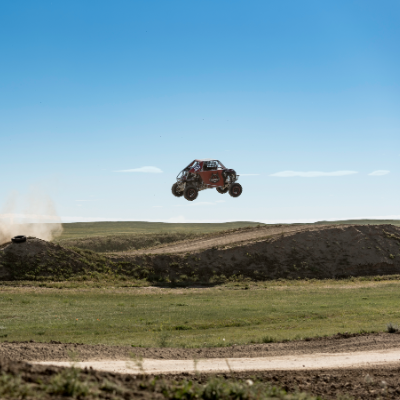 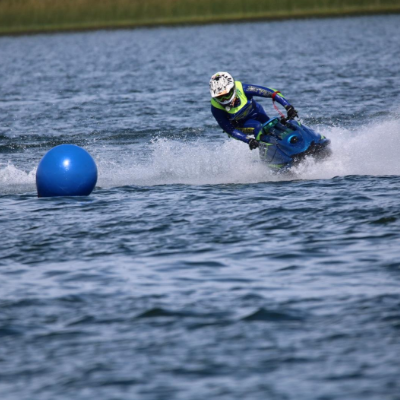 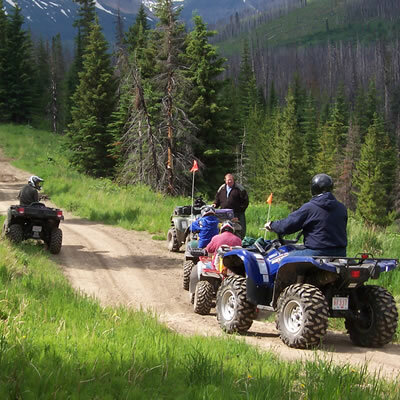 But it is here, just minutes from city centre, that one of the best off-road motorcycle parks in Alberta can be found—namely Blackfoot Park. 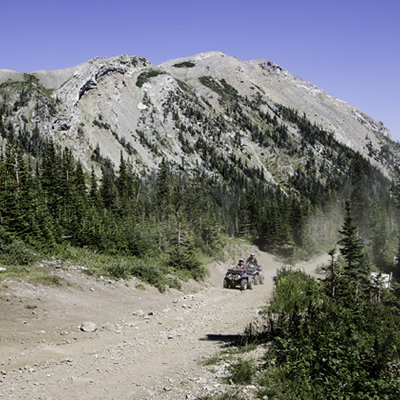 Whether it’s ATVing, fishing or a bit of both, the Crowsnest Pass is a hotspot for backcountry enthusiasts. 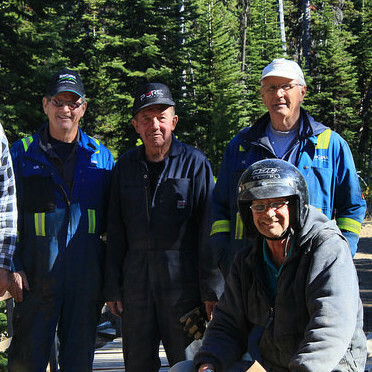 The Crowsnest Quad Squad worked 231 man hours to repair and upgrade three bridges on their trails.